IOS App Developer: Purple Cover, Inc. I've had this app for a week and can't imagine life without it now. Importing recipes is a breeze and so handy to have while I'm cooking. I love how I can pick a recipe and have the ingredients load into my grocery list. Very user friendly. The free version is terrific but I highly recommend the subscription service to maximize the power of this little app. It's definitely worth it. 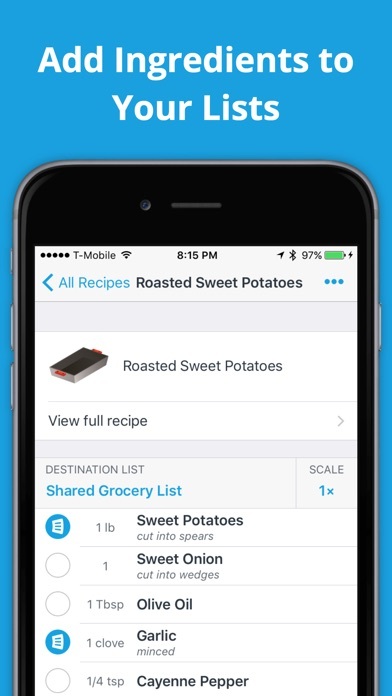 I’ve tried a lot of apps for menus, grocery list, to do list, and this is the best by far. 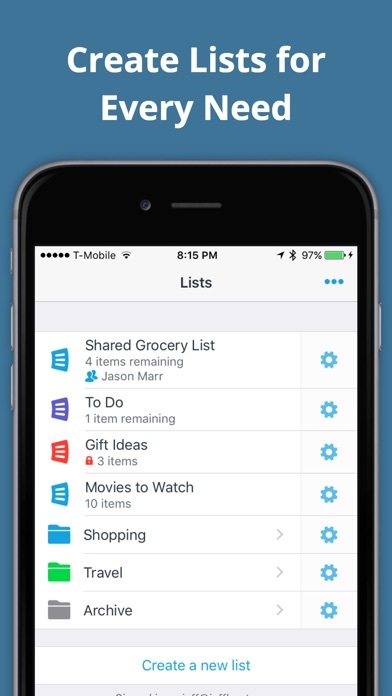 I use this list app for everything. My husband and I go to the store together often. Great way to divide and conquer while in the store. He cross something off and then I’ll know it’s already in the cart. I love the ability to create meal plans with recipes and then automatically put the ingredients I need onto my weekly grocery list. Really great app. Best one I’ve used for keeping a grocery list. Love that I can use Siri to add things I need and also import ingredients straight from a recipe. 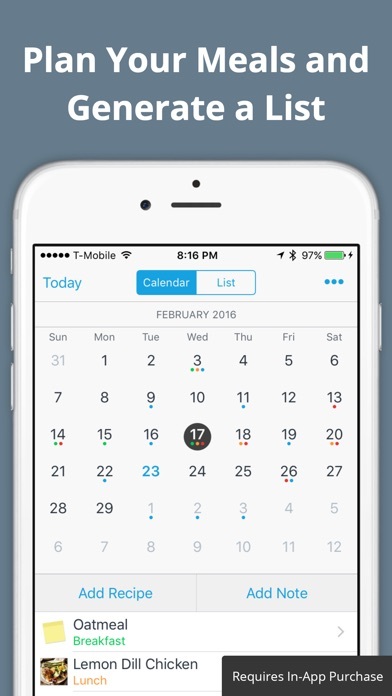 The ultimate cleverest useful app. Thanks! The best app I have on my iPhone!!! Best list app out there! I love it! 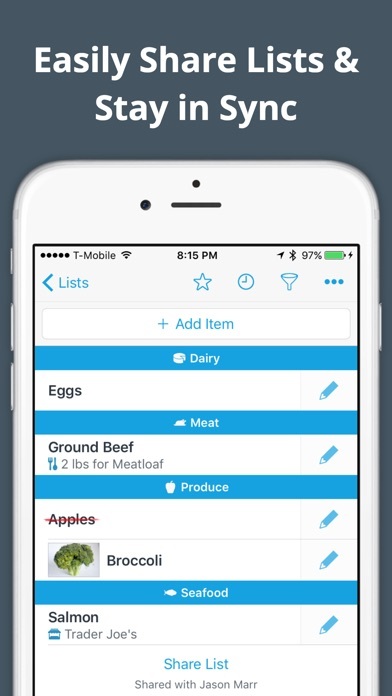 This is an easy to use list app. 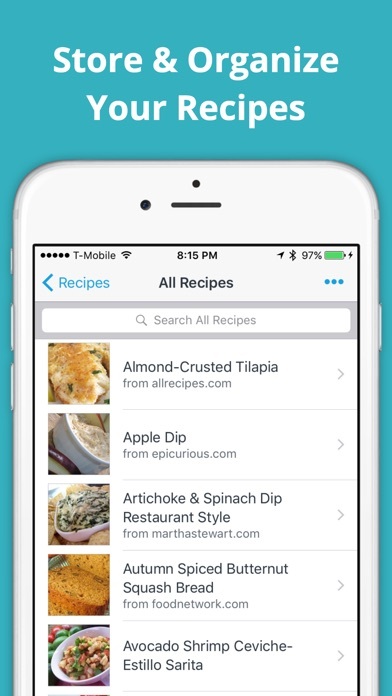 I love the categories, recipes collection, the shareability with my family. I highly recommend! As a newish mom, organization becomes an obsession. Meal planning is a job onto itself. This app has become my savior in trying to meal plan effectively! More IOS Apps by Purple Cover, Inc.